This is just a six-second video, but like any great Vine-length work of art, I’ve already slowed it down and watched it frame by frame multiple times, trying to parse its genius. 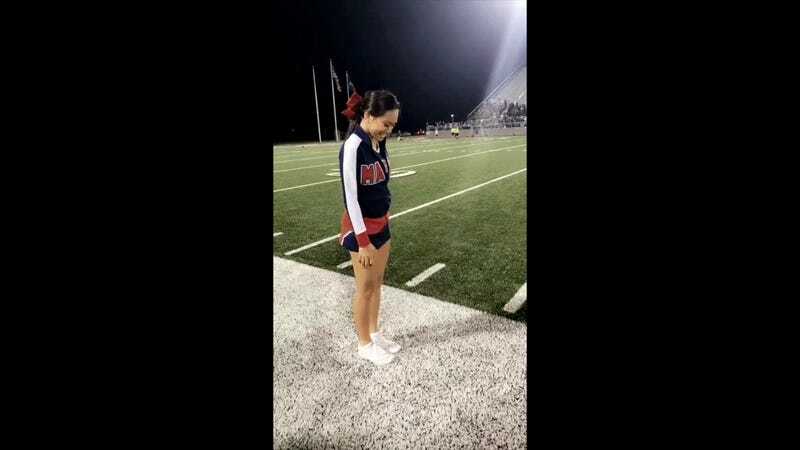 That’s a high-school cheerleader who either has the power to make solid objects invisible or simply possesses incredible leg control. Either way, it’s confounding. I just tried to do this and could barely raise both legs up at the same time, let alone keep one still. This girl is going to rule us all.